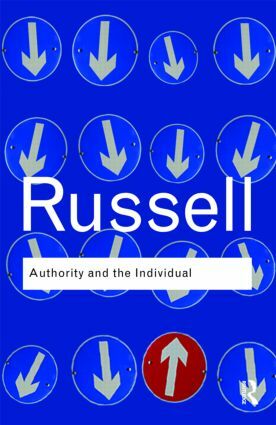 From Ancient Greek philosophy to the French Revolution to the modern welfare state, in Authority and the Individual Bertrand Russell tackles the perennial questions about the balance between authority and human freedom. With characteristic clarity and deep understanding, he explores the formation and purpose of society, education, moral evolution and social, economical and intellectual progress. First of the famous BBC Reith lectures, this wonderful collection delivers Russell at his intellectual best.